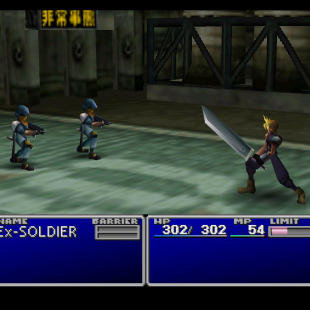 Final Fantasy VII director Yoshinori Kitase believes a remake would be his "life work." Despite Square Enix's seeming adoration for some of its more recent creations, Final Fantasy VII arguably remains the most famous and beloved game the company has ever produced. Fans love the game so much that the demand for a remake has remained a constant force, despite Square Enix's frequent affirmations that it isn't going to happen any time soon. That said, series producer and VII director Yoshinori Kitase recently offered more commentary on what it would take for him to commit to a remake. "I can honestly tell you I would love to do that," he said. "If you simply ask me if I personally would like to do that, yes I would. Definitely. There's no lie about it. But you must believe me when I say it would take a lot to happen." According to Kitase, a remake of Final Fantasy VII would require considerable "staff availability" along with a sizable budget that, put shortly, may be prohibitive. These sentiments mesh up with statements he'd made back in 2010 when he said he'd like to do a remake but pegged it as "unrealistic." That said, in his latest round of comments Kitase revealed that the biggest obstacle might be his own motivation. "Should I ever take it on, it would have to be the biggest project I've done. My life work," he said. "So I would have to be as highly motivated as that to end up with something I'm very happy with. It's a huge thing for me." In other words, a Final Fantasy VII remake is still probably off the table for the time being. You never know though, the day could still come when the stars align and fans finally get the shiny VII remake they've been dreaming of for years.